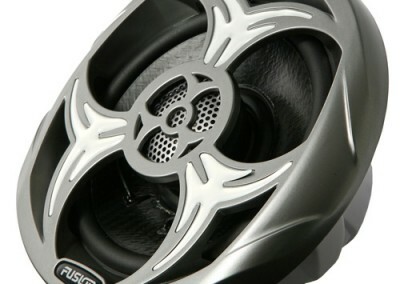 FUSION has taken the industry leading position of engineering a truly marine product range from the ground up – including Speakers, Amplifier and flagshipped by a revolutionary Marine Stereo Unit range. 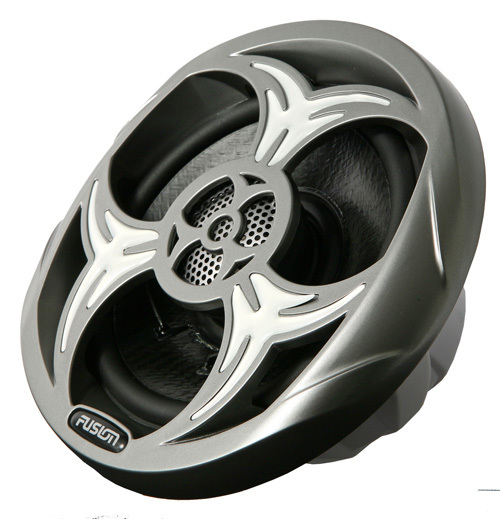 FUSION’s Marine Stereo Units not only incorporate a waterproof design, they are the first Marine Stereo Units on the market which are truly 100% iPod compatible. 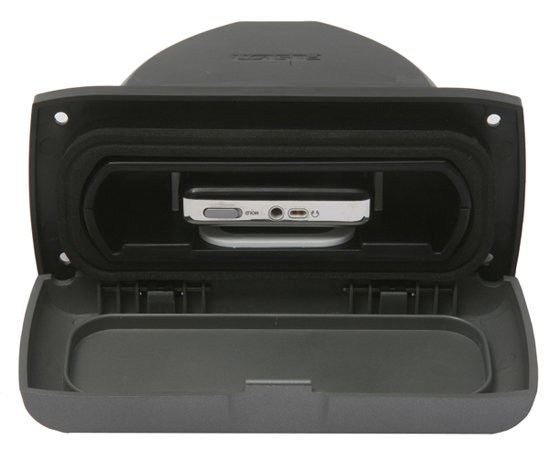 Simply slip your iPod into the draw, close the face plate, and your iPod is protected from any water or moisture – it’s that simple! The Stereo Units are also packed with other killer features, such as multizone control allowing users to customise their audio set-up in the different zones of their boat. 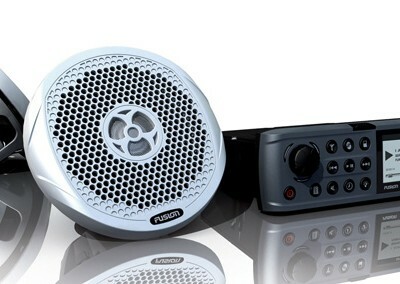 A traditional CD version of the Stereo Unit is also available, as is a separate iPod dock accessory. ‘The success of iPod has meant customers can truly take their music where they want to listen to it – at home, in the boat, or out and about. 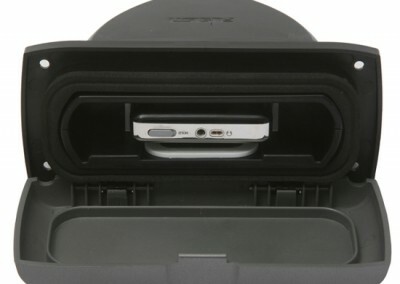 The gap is seamlessly integrating the iPod into the various stereo units available in the market. Fusion 600 SeriesModern styling and enhanced remote bus technology, the 600 series incorporates an intelligent user memory, FUSION’s latest Alpha Search Technology and extended Apple iPod support with fully integrated iPod user interface, dual mono subwoofer output and ingenious behind dash engineering all contained in a 100% aluminium chassis. 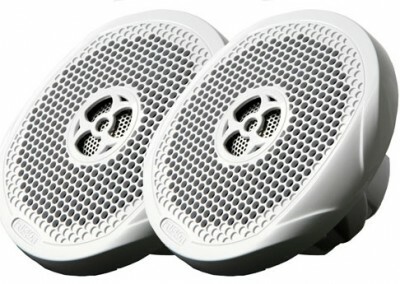 The 700 Series True Marine Entertainment System is the culmination of FUSION’s engineering and design brilliance, resulting in a product with superior sound quality, controls and features never seen before. The MS-IP700i represents the perfect mix of innovation, functionality and ease of use, driven by feedback from the marketplace direct to your vessel. Nominated for a DAME design award for marine innovation, and winner of the 2012 NMEA Supreme Technology Award – the 700 Series is not just a step ahead – it’s light years ahead. 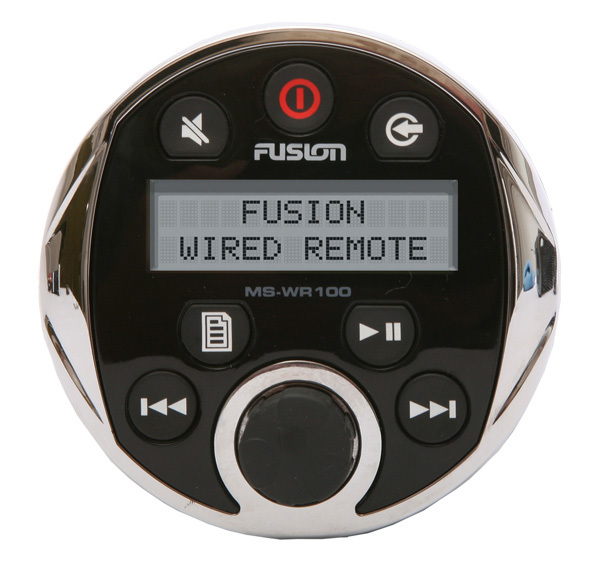 Connect a FUSION MS-IP700, MS-AV700, MS-IP700i or MS-AV700i Marine Entertainment System to a wireless Ethernet Router or to the existing WiFi network onboard the vessel and the FUSION Entertainment System will auto configure itself to the network. 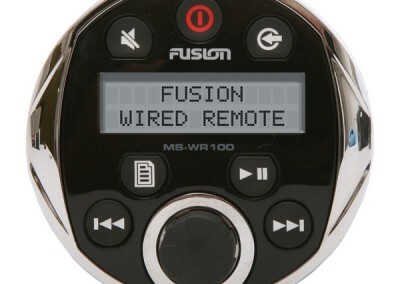 Once downloaded, the FUSION-Link Remote Control App for iPhone or iPad will allow navigation of all music sources, independent audio zones and multiple FUSION Entertainment Systems connected to the same WiFi network. Navigate iPod albums, artists and playlists with the same ease as navigation of the FUSION marine interface, iPod and iPhone Album art is even displayed on screen.